The massive potential of the growing African market has been an important and popular topic of discussion at industry conferences for the past few years.Â So popular in fact, we now have entire conferences dedicated to the market such as Clarionâ€™s WrB Africa.Â Sportsbetting, in particular, is in demand, therefore experienced European betting companies such as BettorLogic have done their homework and already made moves into the African market. 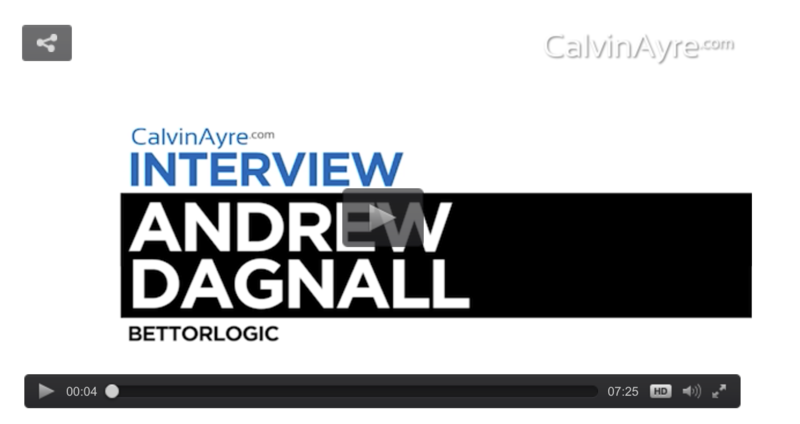 While most of us are aware of the massive opportunity in Africa, weâ€™re not sure what changes and innovations are triggering the opportunity and we certainly donâ€™t know how to enter the market.Â For this reason, Iâ€™ve spent some time this week with Andrew Dagnall, BettorLogicâ€™s CEO for the past 13 years and a wealth of knowledge when it comes to sportsbetting opportunities in Africa. â€œI think there has been a tremendous amount of growth in Africa, a tremendous amount of attention on betting in Africa.Â I think if anybody is getting involved in Africa its very important to realize that basically Africa effectively is 54 different countries.Â And each of those countries is different.Â And when it comes to betting, each of those countries are differentâ€, he said. â€œI think majority of Africa is concentrated primarily on football betting and the football betting is restricted to very much the leagues the locals know about which tends to be the fairly typical leagues that us Europeans are well aware ofâ€, Dagnall explained. â€œIf you go into an African betting shop- and Iâ€™ve been in a few in Kenya and also Nigeriaâ€“ you go into the shop and the only thing you can see is a screen showing virtuals.Â A lot of the shops wonâ€™t show any live football because otherwise what happens is the shop gets packed out by locals because itâ€™s a cheap way of watching football and they wonâ€™t necessarily bet on itâ€, he shared. One of the most appealing characteristics about the African market is its promise of growth and BettorLogicâ€™s ability to educate players on how to make good bets has proven to be a great fit. â€œI personally think there are opportunities to grow the market and I think there are opportunities to be able to educate the market so then the player becomes more enriched in betting and then youâ€™re more likely to increase the longevity of the playerâ€, said Dagnall. When asked for specific examples of how BettorLogic is able to add value to the choices African bettors make, Dagnall said, â€œIt’s through the process of making the customer more aware.Â If you have a piece of information such as that when Manchester United plays teams like Arsenal, theyâ€™ve won six of the last eight home games, that means when the customer uses that information heâ€™s in confidence to move into perhaps events or other leagues he may know nothing about.Â They start to trust the fact that youâ€™re telling them this is what the team has doneâ€. â€œSo that helps in the retail space and we would effectively deliver into Excel sheets which the local shop manager prints and puts on a board.Â Again, itâ€™s a way for customers to be able to see what supports particular markets, but it’s still a relatively simple selection of betting marketsâ€, he added. â€œI think its fair to say that if you tried to explain to an African bettor what handicapping means, it all gets a bit confusing.Â They like things very simple- they like goal markets, they like both teams to score and they like the 1Ã—2 marketsâ€, explained Dagnall. In Dagnallâ€™s experience with the African market, he has discovered most of the local operators are successful marketers, but not at all experienced in how to actually run a sportsbook. â€œSo inevitably [African operators] would be drawn towards buying the cheapest sportsbook supplier package they could, they were marketing very effectively, but it wouldnâ€™t necessarily have the infrastructure of a European sportsbook thatâ€™s constantly managing its position and ensuring its never too exposed in one particular situationâ€, he said. Placing bets at retail shops and via mobile devices are the two most popular channels for betting in Africa but the nature of bets placed will vary depending on the bettorâ€™s location and preference of channel. â€œSomewhere like Kenya for example, I think is slightly different than Nigeria because in Kenya you have a situation whereby mobile betting is more prevalent.Â And mobile betting is where the middle class is betting.Â The middle class in Kenya wouldnâ€™t be seen dead in a betting shop, betting shops are for the guys who want to bet 10p, 20p.Â Â So the mobile bettor in Kenya is a lot more sophisticated and they will do things like in-play bettingâ€, explained Dagnall. â€œI think for any operator looking to get into Africa it’s very important to have a local partner.Â It’s very important to recognize â€˜is this a territory where I need bricks and mortar?â€™ because, for a lot of the operators, or certainly, for the customers, theyâ€™ll only trust you if they know youâ€™ve got a shop.Â If something goes wrong, they can go into that shop and they can create hell.Â Thatâ€™s what gives them the confidence to bet with them.Â So a Ladbrokes or Coral means nothing to an African bettor, it means something if youâ€™ve got a number of shopsâ€, he said. â€œWe need to understand the mentality of the particular bettor because for example the majority of African bettors, if they win, they want cash now.Â Its all about turning over their account, spending the cash when they wantâ€, he said.